Canadians give to the homeless. A warm meal, an extra layer of clothing to ward of a chill Canadian winter, and a kind gesture — Donate a Car has receiving charities that are out on the streets, day and night, helping some of our country’s most vulnerable get a small taste of Christmas cheer through this holiday season. Would you like to join them in your area? We can help by arranging free towing, and gift with no costs to your charity to allow for more donation dollars to go where they’re needed most. Read on to learn about outreaches in your area, and jump in to lend support where you can. Don’t worry if you miss their project deadlines. These hardworking charities want to hear from you! 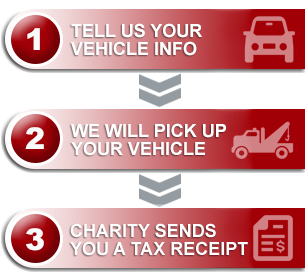 Or, if you know of a shelter, or relief organization, that might want to benefit from our vehicle donation program long-term, let them know about us. Maybe even considering gifting them with a vehicle donation (the free towing and simple process make it an easy way to give) when opportunity arises? Loaves and Fishes, in a shared project with the local Salvation Army on Vancouver Island, is doing a food hamper drive. Inn From the Cold in Alberta invites you to sponsor a meal, or creatively contribute in ways that suit you well! In Saskatoon, the Foodbank and Learning Centre is hosting their Tree of Plenty fundraiser, ensuring support for the community all year long! The Agape Table in Manitoba strives to provide nutrition and community support year ’round, too. Your contribution today will help! Ontario donors may wish to connect with the North York harvest Food Bank for their Winter Food Drive. On Rock Community Services in Quebec is always taking care of basic needs in their community. You can join their efforts! Explore giving options near to you in the Maritimes! In New Brunswick, Meals on Wheels Fredericton is always grateful for support. Thank you for considering these, and other local options, as we share in the generosity of the season!